It was announced today that FUSION TV’s signature investigative series ‘The Naked Truth’ has won a prestigious The Robert F. Kennedy Journalism Award for its documentary ‘The Naked Truth: Rigged.’ The doc, which was first broadcast in September 2016, was recognized in the Television - Domestic category. The RFK Journalism Awards honor outstanding reporting on issues that reflect Robert Kennedy’s concerns, including human rights, social justice, and the power of individual action in the United States and around the world. 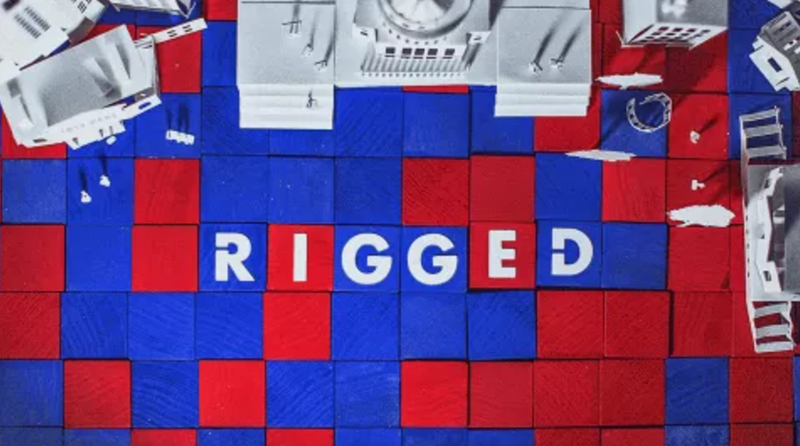 With ‘Rigged,’ FUSION’s award-winning investigative series put a spotlight on one of the biggest political heists of the century: how the American voter has been systematically robbed of political power. Released as a cross-platform report, ‘Rigged’ not only included a primetime documentary, but in-depth digital reports, and a mobile game that all exposed how democratic institutions are being hijacked—and what you can do about it. FUSION investigative correspondent Natasha del Toro set out to determine how much power still rests with the people or if the political system is so RIGGED, that it can’t be fixed. She took viewers on a trip to Florida and North Carolina where she discovered that a toxic brew of trickery, gerrymandering, campaign spending, and suppression of “undesirable voters”—from minorities to college students—has made it nearly impossible to have free and fair elections. FUSION’s investigative unit and the inaugural season of ‘The Naked Truth’ has been recognized numerous times over the past year for its quality journalism and storytelling. The series has been honored with a DuPont Award (‘Death by Fentanyl’) and Scripps Howard Award (‘ISIS Fighters’). FUSION’s investigative team was also recognized, along with the partner organizations working with the International Consortium of Investigative Journalists, with a George Polk Award and a Pulitzer Prize for its reporting on the Panama Papers. In addition, the investigative documentaries ‘Death by Fentanyl’ and the ‘Killed for a Horn,’ an episode from FUSION TV’s docuseries ‘The Traffickers,’ were recognized as Scripps Howard Award Finalists.